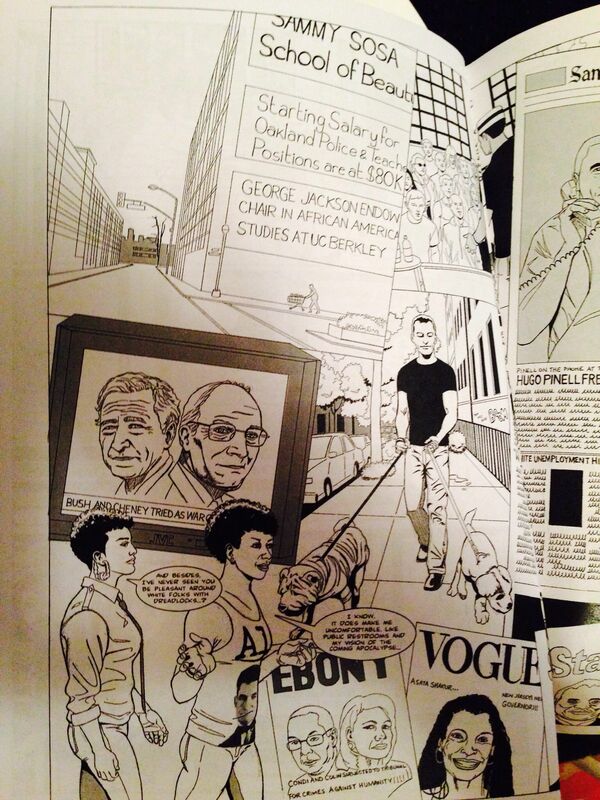 *The first table I went to was the artist John Jennings and I purchased the African American Graphic Classics. As someone who does write poetry, this was a great find for me. It’s a similar idea to a book I had when I was younger, illustrator and author Ashley Bryan’s book of illustrated African-American poetry. Various comic and graphic artists, such as Jennings, Lance Tooks, and Afua Richardson, illustrate several short stories and poems from various authors, including Zora Neale Hurston, Alice Dunbar Nelson, W.E.B. Du Bois and Langston Hughes. *Walking around I saw many male creators in the comic and science fiction industry, like the Craft family, N Steven Harris, Mshindo Kuumba, I enjoyed particularly seeing black women who were part of it as well, like Evolve‘s Kia Barbee. I met illustrator and animator Tiana Mone’e Scott, who has done work with Cartoon Network and PBS. At the right below was one of my favorite pieces that she had on her table. See more of her work here. I am glad I went this year, I learned a lot, saw a lot of comics that I want for myself or for the kids in my life in the future, and now have a bigger interest and appreciation for comics. Hopefully, one day this festival will be in a bigger facility because it was so overcrowded, which obviously was a good sign.